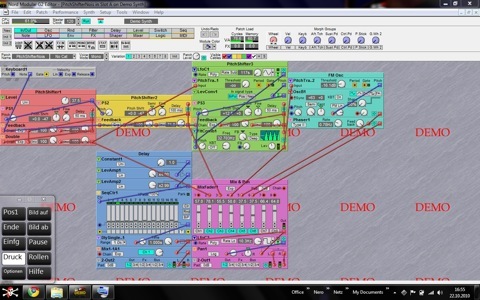 To perform on radio you are required to create a monophonic synth within Max/MSP, with eight control parameters. 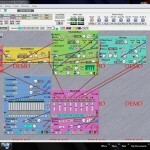 You may use the ‘ synth/radiotuner ‘ patch as a base for the synth. The eight control parameters are transmitted via mxj net.maxhole . Received parameters may not be rescaled nor additional parameters altered by any another process, including random numbers, within the synthesis patch. Chess uses the onRadio computer score system either over an internal loopback or LAN connection.